Children are fascinated with big machines and building is going on all around us. 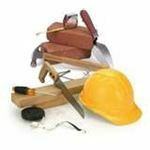 These activities on construction can be fun and educational for your students. People stop to watch a giant crane working on a construction site, whether it's a big building or a home being built in the neighborhood. There is usually a collection of machinery and materials assembled there. Children are fascinated with building, so start your lesson with the classic book about construction, Mike Mulligan and his Steam Shovel by Virginia L. Burton. Talk about the excavation (digging) in the story and the types of machines used today (tractors, backhoes). 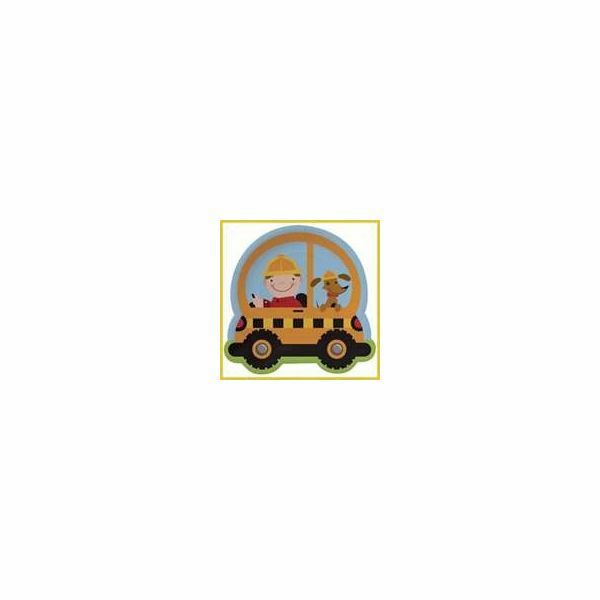 Other books to read are: The Construction Alphabet Book by Jerry Pallotta, Building a House by Byron Barton, and Digger Man by Andrea Zimmerman during your preschool construction theme. Talk about what goes on during construction, such as pouring concrete to make a foundation, building being framed with wood, roof and rafter beams being raised, pipes being laid, and wires connected. In the books, notice the types of workers on a construction site such laborers, inspectors, administrators, and machine operators, just to name a few. Construction workers are community helpers. If possible, take your class on a walk to see a construction site. You will need to walk around a site as no one other than authorized workers are allowed near the building. It's a lesson in itself. Bring out real paint rollers and pans. Either fill these with water and let the children paint outdoor surfaces, or use tempera paints to roller paint a mural where butcher paper is attached to a fence. Children can make buildings by gluing wooden scraps to a block of wood. Provide wood items such as clothespins, wooden thread spools, pieces of dowels, and small scraps of cut wood. Make sure that all pieces are smooth or rub rough edges with sandpaper before use. When the construction is glued and dry, children can paint their building with tempera paints. Extend this activity by taking photographs of each child's construction. Place the photos onto a bulletin board and have the children dictate notes about their buildings. You may want to title this board - "Our Little Architects." Talk about all the jobs that are part of a construction crew. Jobs may include architects, engineers, carpenters, masons (bricklayers), plumbers, electricians, sheet metal workers, and painters. 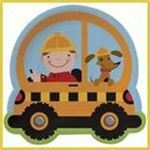 Let the children draw pictures for this booklet or cut pictures from a magazine or builder's supply catalog. Invite the children to use the sandbox as a construction site. Use toy steam shovels (or regular shovels) for digging. Fill dump trucks with sand to haul over to a different area of the sandbox. 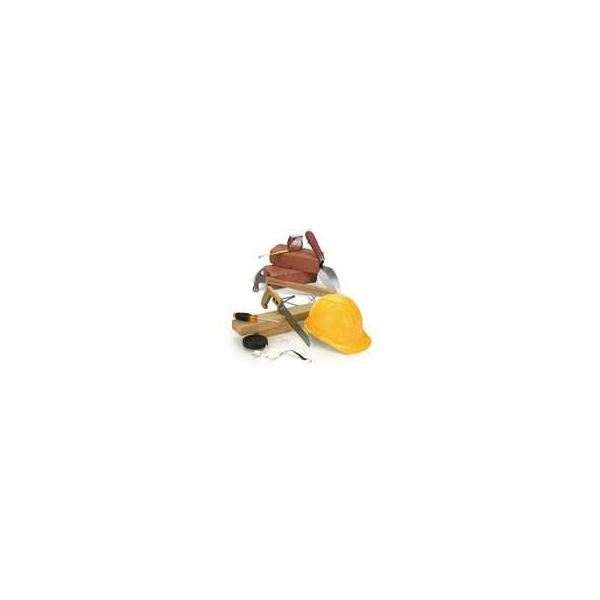 Provide rocks, wood pieces, cardboard, and toy blocks to make buildings. This activity is construction on paper. Cut circles, squares, rectangles, and triangles of different sizes from construction paper, wallpaper, or fabric. Invite the children to glue these onto paper to make pictures of buildings. You can use the concept of blocks and mortar using these foods to build. Remember the solid substance (building blocks) is held together by the sticky substance (cement). Construct a building using these edibles. Challenge the children to make buildings out of food. Take pictures of these constructions for lasting memories. Note: Check for food allergies before giving children any of these foods. As the children are working on their projects, ask each child about their building. "How is he constructing it and with what materials?" "What type of community helper constructs buildings?" "Would he like to build buildings when he grows up?" "Do you remember the story of The Three Little Pigs?" "What materials did they use to build their houses?"